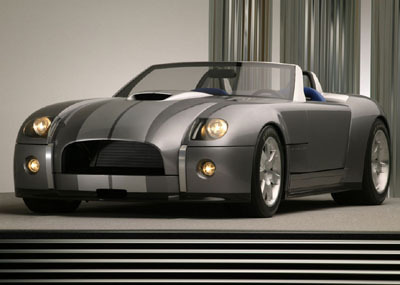 The 2003 Cobra concept was modern in design details, but there are blatant cues to past Shelby creations, like the yawning, semicircular air dam, side vents and all the curvaceous sheet metal needed to cover the 19-inch tires at the rear. There's plenty of power available for the Cobra concept thanks to a 6.4-liter, aluminum-block V10 pumping out 605 hp and 501 lb-fts of torque. 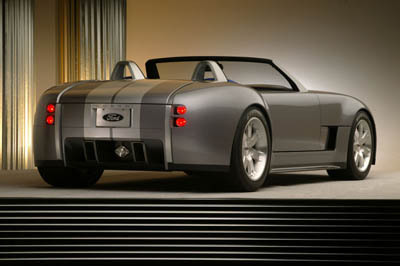 The 2003 Shelby Cobra was purely a conceptual design and there were never any plans to put the vehicle into production.